The danger of familiarity is complacency. We become insensitive to the wonder of Scriptures that we hear and read all the time. 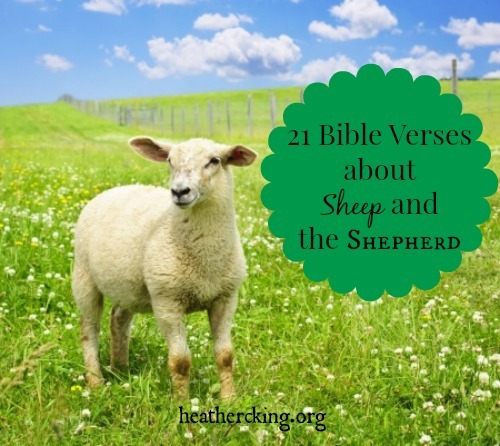 But I was struck anew by this powerful thought in this oft-quoted verse—“I shall not want,” not because I have a shepherd. No, it’s because of who my Shepherd is—The Lord. 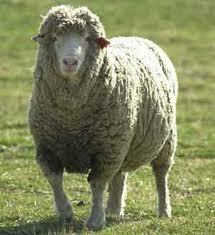 I have the best, most compassionate and capable Shepherd of all. It is because of His character that I never need to fear or worry or fret over provision and safety. In her book, Stumbling Into Grace, Lisa Harper talks about Luke 12:22-32, where Jesus instructs us not to worry about what we’ll eat or wear because He takes care of the birds and the lilies of the field. He loves us ever so much more than them and will care for our every need, as well. Lisa Harper notes that Luke’s “use of the term little flock in verse 32 is so unique that this is the only place it can be found in the entire Bible” (p. 10). Once again, it is the fact that we are such beloved sheep of such a Good Shepherd that calms my heart and gives me peace when I am afraid. And so, this is the verse I have chosen to meditate on this week. I’ll write it on index cards, post it around my house, and remind myself all week long of how much my Shepherd loves me. For more thoughts on the way we sheep can trust in our Shepherd, please check out my article: Living the Sheep’s Life: Choosing Grace Over the Law. What verse are you meditating on this week? Waiting on God and being persistent in prayer—not the two easiest disciplines of the Christian walk. But, John I. Snyder addresses both in his book: Your 100 Day Prayer: The Transforming Power of Actively Waiting on God. Each day’s entry begins with a verse and thoughtful devotional and concludes with an opportunity to pray. The goal is to take a specific prayer request to God every day for 100 days. Snyder’s book not only gives you verses and prayer prompts, but his daily devotionals are well-thought out and challenging. This is more than a fluffy feel-good devotional. Instead, it is an impassioned look at God’s character and what it means to pray with persistence. He deals with difficult topics, such as “When God Says No” and “The Silent Heaven,” with insight and wisdom. The author himself says, “This sustained, stubborn, never-give-up spirit of prayer is not so much to persuade God to give us what we want, but rather to transform us in the process.” His book could help transform and enliven your prayer life, as well as spur you on to greater spiritual maturity as you engage in the daily disciplines of Bible reading and meditation, prayer and journaling. I received this book free from the publisher through the BookSneeze®.com <http://BookSneeze®.com> book review bloggers program. I was not required to write a positive review. The opinions I have expressed are my own.